A HEART-WARMING documentary film about a group of indigenous Australian rangers who travel to Kenya to share knowledge, culture and music with a tribe of Maasai Community Rangers will premiere on the Mornington Peninsula next week. Ranger to Ranger is being shown at the Merricks General Wine Store, Friday 14 September, in support of the International Ranger Federation. 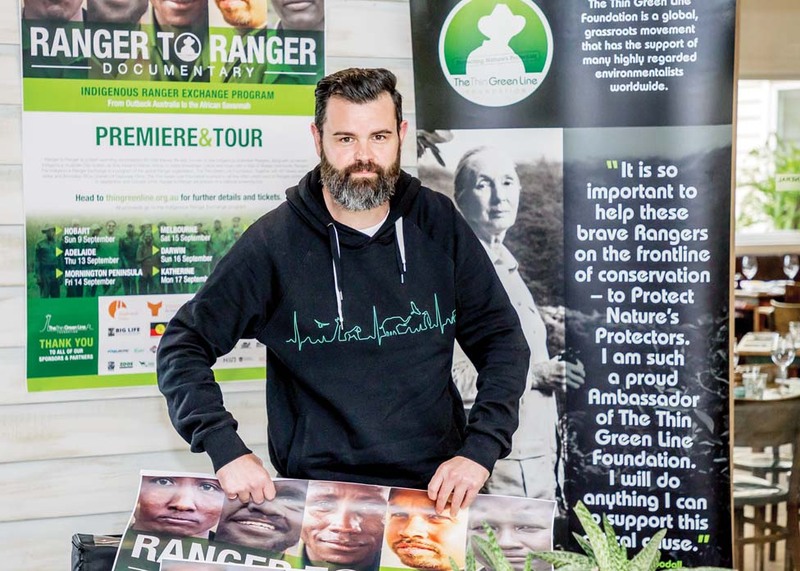 The federation’s charity arm, Thin Green Line, needs funds to ensure that those tasked with defending the world’s wildlife and wild places – the Rangers – are given the support they need. In the case of a ranger losing his or her life in the line of duty, it provides emergency financial support for their families. “The nine rangers are Martu, Kimberley and Jawoyn rangers from Western Australia and the Northern Territory,” the Thin Green Line Foundation’s Dan Box said. “They came together in Perth, never having met before, and joined Dan Sultan, a Gurindji and Eastern Arente man from the Northern Territory, to embark on this unlikely journey to Africa. “They find that, in some ways, they are incredibly different, yet in many ways have a lot in common – especially a deep connection to land and country. Doors and pre-film entertainment start at 6:30pm; film: 8:10pm; question-and-answer session: 9:15pm and post-film entertainment: 9:15-10pm. The Q&A session is conducted by head Maasai Ranger Joseph Kotoke and Thin Green Line Foundation’s Sean Willmore.